Minivan with access ramp able to accommodate up to three persons in motorized wheel-chairs and four companions. Accessible car rentals with hand controls, spinner knobs, etc. Full-service gas stations recommended by CAA Québec. Orthopedic equipment suppliers that repair, rent and sell wheelchairs and other mobility aids. Do not book train travel online; rather call VIA Rail. When making your booking, ensure that the arrival and departure stations are accessible. Every Québec municipality offers adapted transit services. Please contact Keroul for more information. Most bus lines offer ‘kneeling’ (low-floor buses). All passengers may use the elevators, particularly those with limited mobility or in a wheelchair. The métro system can be accessed by most wheelchairs, either manual or motorized, as well as by three- and four-wheel scooters. They are located in 12 metro stations along the orange line. The Montmorency, De la Concorde, Cartier, Jean-Talon, Berri-UQAM, Champ-de-Mars, Lionel-Groulx, Henri-Bourassa, Côte-Vertu, Snowdon, Rosemont and Place-d’Armes métro stations are accessible at street level to wheelchair users. The Bonaventure station is partially accessible, between the ticket booth level and train platforms only. For now, there is no direct access from street level. Enter from 1800 Jacques-Tétreault St. Enter from Lucien-Paiement St. to access the station from the passenger drop-off area,the outdoor parking area, or theindoor paid parking levels P1 and P4. Enter from the waiting area at 250 Montée du Moulin. Access the station from Saint-Denis Street. Tuesday to Friday: 10 a.m. to 10 p.m.
Saturday and Sunday: 10 a.m. to 6 p.m.
Access the station from the south corner of Henri-Bourassa and Lajeunesse. Enter station from Côte-Vertu North entrance. Enter station from 5111, chemin Queen-Mary. Enter station from 420, Rosemont blvd. Accessible minibus service with a regular route through the Old City. For more information, contact the Réseau de transport de la Capitale. Contact information for companies offering accessible taxi services. Free travel can be obtained upon presenting the Carte québécoise à l’accompagnement, available from the Bus Carriers Federation. In Montréal’s public transit system, persons accompanying mobility-reduced of visually impaired passengers travel for free. For details, contact the Société de transport de Montréal. A good tip: always book at least 48 hours in advance. Aéroports de Montréal is committed to providing airport facilities that are adapted to the needs of people with disabilities or limited mobility. Our customer service personnel and Airport Patrol officers are also available to assist you at all times. A limited number of wheelchair-accessible vehicles and equipped with hand-operated controls are available for rental. Customers are asked to make the necessary arrangements in advance with their car rental agency. Public transit buses are accessible to people with limited mobility and can accommodate wheelchairs. People with limited mobility who have a valid certificate attesting to this fact and needing adapted parking can use the Multi-Level parking lot located near the terminal at the same weekly rate as the EconoParc lot. The terminal entrances on the arrivals level are equipped with oversized revolving doors with slow-motion buttons. Wheelchairs are available at the information counters located on the departures level for use by people with limited mobility visiting the airport. If you are boarding a flight, please contact your airline for a wheelchair. There are access ramps, elevators and moving sidewalks available to facilitate movement inside the terminal. Information counters, check-in counters, self-service check-in kiosks, public pay telephones and automated teller machines (ATMs) are accessible to wheelchair users. All washrooms feature doorless entrances and are equipped with toilet stalls adapted for use by people with limited mobility. In the international and transborder jetties, single-occupant unisex washrooms equipped with hands-free faucets are accessible to people in wheelchairs. They are also equipped with an emergency call button. Wheelchair-accessible drinking water fountains are also available. Use of carpeting in the terminal has been minimized to facilitate wheelchair movement. One line at each pre-boarding screening checkpoint is reserved for people with limited mobility accompanied by an airline passenger agent. In the international and transborder jetties, passengers with limited mobility have access to a transportation service using electric carts, from the security checkpoint to the boarding gate (departures level) and from the arrival gate to the Canada customs hall (arrivals level). Reserved seating is available in the boarding lounges. When an aircraft is parked far from the terminal, passenger transfer vehicles are available to transport people with limited mobility between the plane and the terminal. Arrangements must be made by the carrier. There is a line for use by people with limited mobility in the Canada customs hall, near the line for airline crews. Adapted taxis are available from 7 a.m. to 2 a.m. upon request to the dispatcher at your arrival. Outside these hours, you must advise your airline, who will contact our dispatcher. Public pay telephones (except TTY phones) are equipped with a button that directly contacts ADM’s call centre for any request involving an emergency. Wheelchair users can enter all shops and restaurants in the terminal. Bars and VIP lounges have lowered sections for wheelchair users. Every bank of public pay telephones has at least one telephone configured for access by wheelchair users. TTY telephones (identified with the TTY pictogram) are available at every bank of public telephones in the terminal and boarding areas. All pay telephones in the terminal are equipped with an adjustable volume control and a flux coil to assist hearing-aid users. Visual fire alarms (strobes) are located in public areas. If you are a TTY user, simply call 7-1-1 for all directory assistance listings (local, national, US, overseas and toll free numbers). Signs are large and brightly coloured. Braille signs are located at entrances to all public washrooms. All elevators, escalators and moving sidewalks are equipped with braille signage. Elevators are also equipped with audible synthesized voice “floor callers” or acoustic signals that indicate floors. There is a relief area for guide dogs across from the terminal building, near the west tower of the multi-level parking garage. 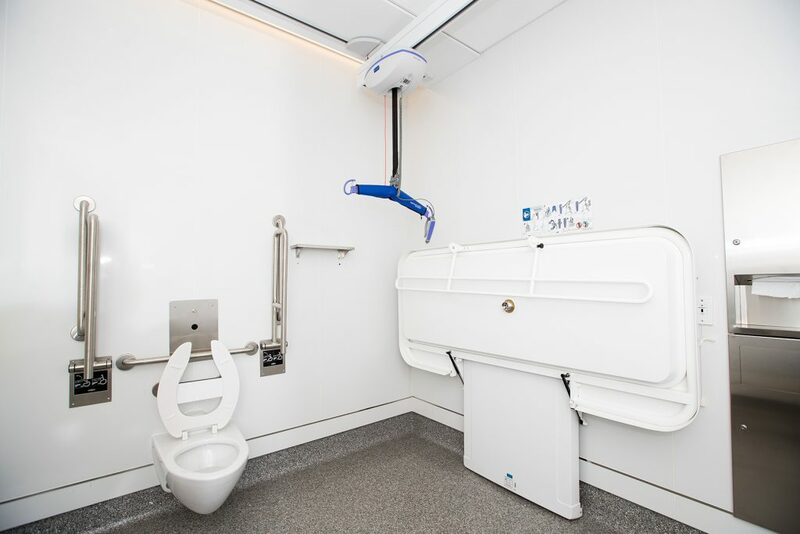 Montreal-Trudeau International Airport (YUL) opens a specially-equipped washroom and changing facility for people with reduced mobility that is the first of its kind at an airport outside Germany or the United Kingdom. 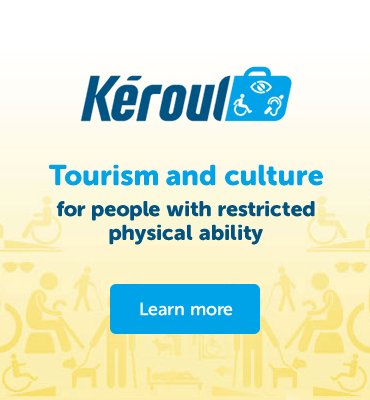 Travelling can be a major challenge for people with reduced mobility, severe disabilities or specialized needs. And while many airports and airlines offer wheelchair and other services for the disabled, few currently provide fully-equipped washroom and changing facilities specifically designed for them. Montreal-Trudeau International Airport recently opened such a facility in its international arrivals hall, equipped with a winch and changing table for adults.